Lobster Paella – My own little Christmas miracle! After watching Tyler Florence make his Ultimate Paella, I knew that I wanted to make it for my Christmas meal. Special and festive enough for a holiday, but not as heavy as a traditional roast. I did not have a paella pan, so I used two large skillets. On a side note, we spent Christmas in Playa del Carmen, Mexico, so our actual dinner on Christmas night was pescado frito. 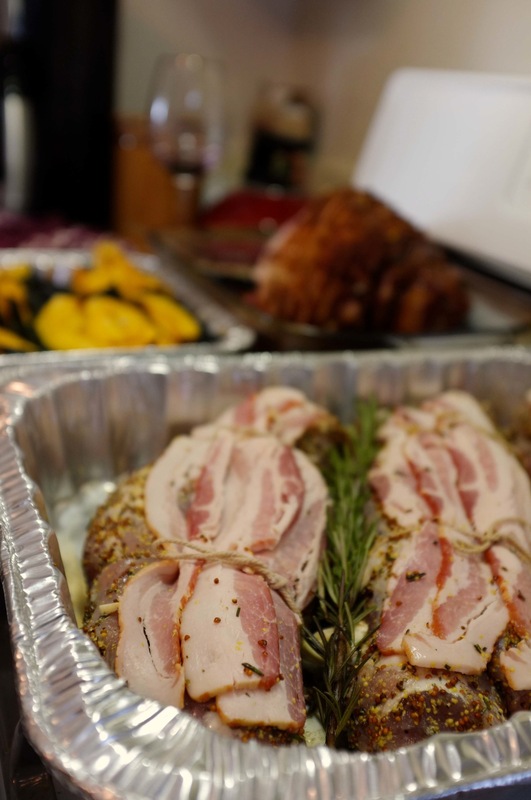 My lesson for this year was that you can still have Christmas without a standing rib roast (although I do love roast beef). 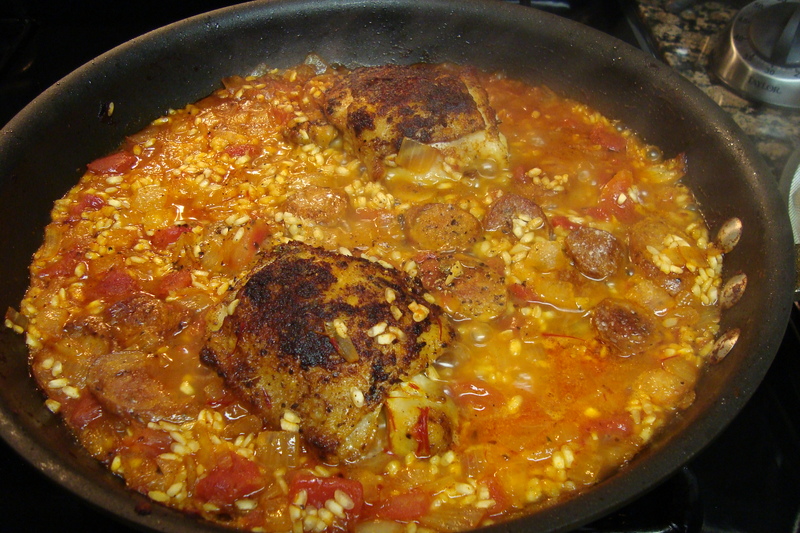 In a large skillet or paella pan, heat the olive oil over medium high heat. Brown the andouille in the pan, then remove and drain on paper towels. Drain the extra fat from the pan if necessary. 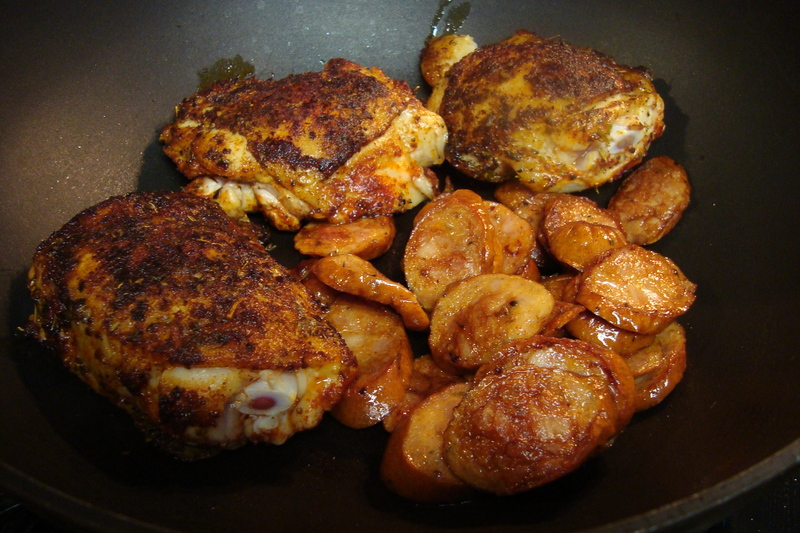 Season the chicken with salt, pepper, oregano, and smoked paprika. Place in the skillet skin side down, and brown on both sides. Once browned, remove from the pan and place with the andouille. Again, drain off the majority of the fat from the pan, leaving a tablespoon or two in there. Over medium heat, saute the garlic and onions in the pan until soft and fragrant, about 7 to 10 minutes. Add the tomatoes, the cook until the mixture has caramelized a bit. Season with salt and pepper. In the 3 cups of warm water or chicken stock, allow the saffron to steep until the water develops a rich color. Add the rice and saffron water to the tomato mixture. Bring to a simmer, then add the chicken and andouille back to the pot. Simmer without stirring for 10 minutes. Nestle the mussels into the rice, arrange the lobster cut side down over the rice, and cook for 5 more minutes. 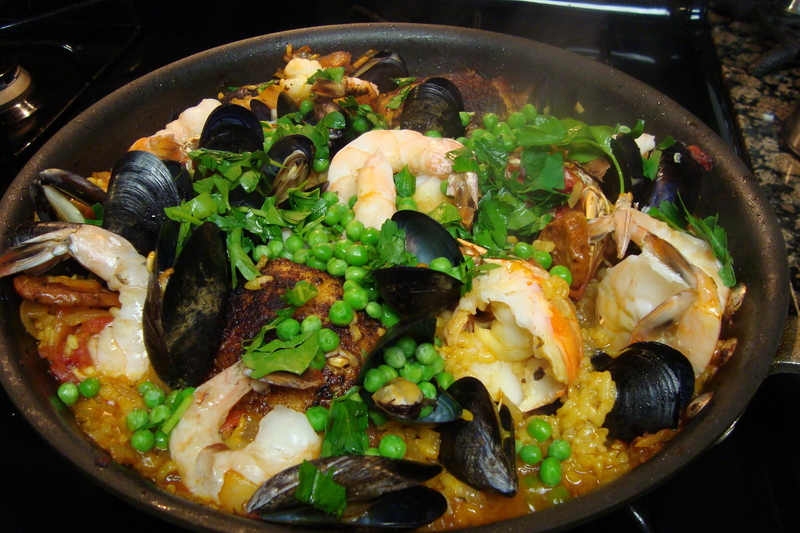 Finally, arrange the shrimp and peas over the top of the paella, cover, and allow to cook for 5 more minutes. Add liquid to the pot if the rice does not seem fluffy enough at this point. 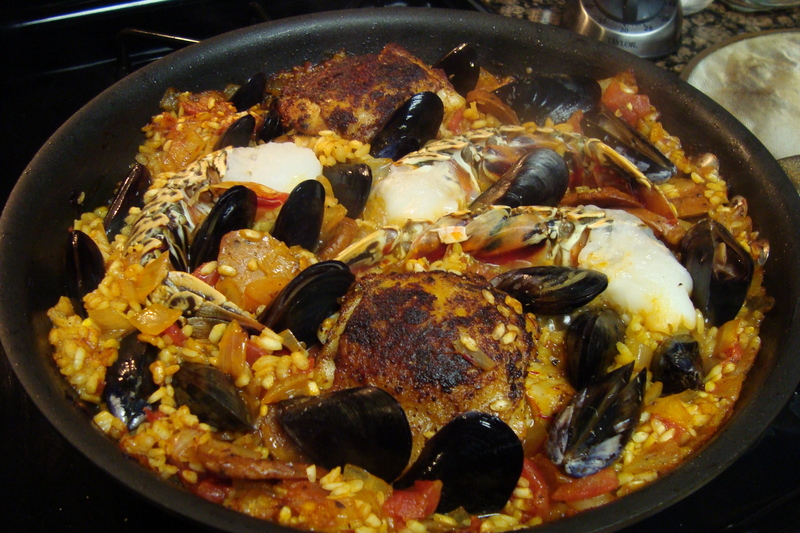 When the rice and seafood are cooked (the mussels should be open, and the shrimp and lobster should be pink), turn the heat up to high for 30 seconds to brown the rice at the bottom. Garnish with parsley and serve with lemon wedges. Enjoy! Paco and I spent a lovely Thanksgiving with his father’s family at his aunt’s house. 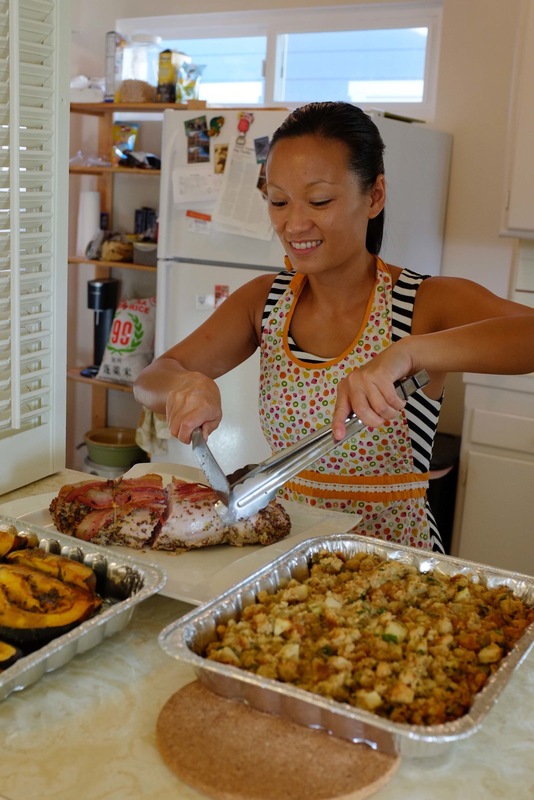 Everything was delicious, so delicious that we came home craving more turkey! 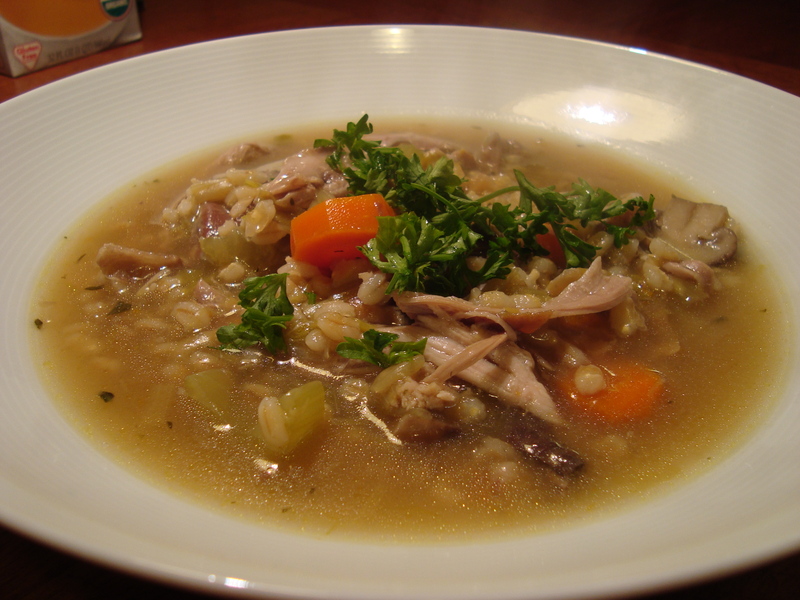 After a five-hour drive, turkey, mushroom, and barley soup sounded perfect. I used turkey thighs, but you could of course use leftover turkey. Soak the dried Shiitake mushrooms in hot water for at least 30 minutes. Heat the olive oil in a large pot over medium high heat. Add the leeks and garlic, and saute until softened. Add the fresh mushrooms and saute until browned. Add the carrots and celery, and saute for another minute. Season generously with salt and pepper. Add the turkey thighs and enough water to cover all of the other ingredients. Add the barley, rosemary, thyme, and bay leaf, and bring to a simmer. Cover and simmer for an hour, or until the barley is tender and the turkey is cooked through. 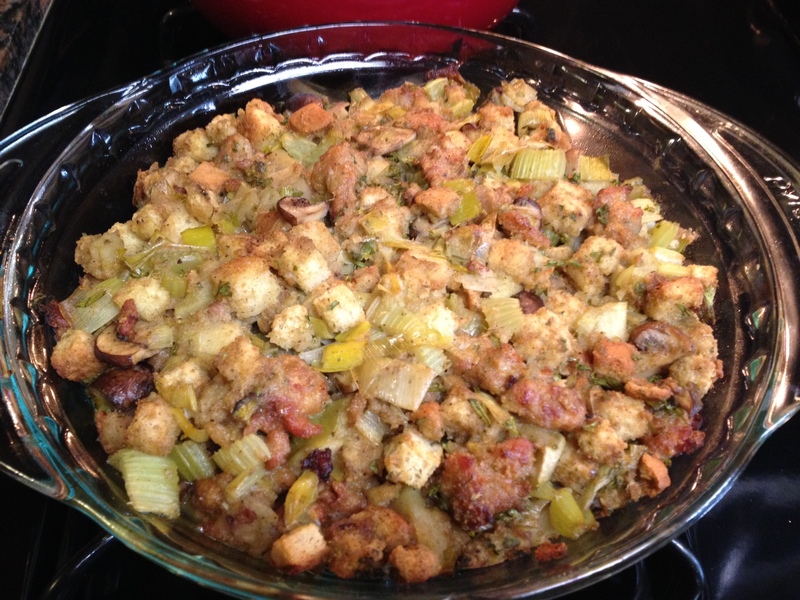 (If you are using leftover turkey, add the chopped turkey to the pot once the barley is tender.) If using turkey thighs, remove them from the pot, remove the meat from the bone, and add the shredded meat back to the pot. Squeeze the excess water from the soaking Shiitake mushrooms, and cut them into small pieces. Add the mushrooms and the soaking water to the soup. Add the soy sauce to the soup, then taste and add additional seasoning if necessary. Sprinkle fresh parsley over the soup before serving.